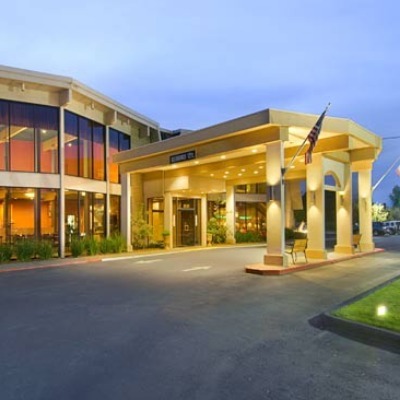 Fort Crook was established on July 1, 1857, to protect travelers on the Shasta - Yreka Road and the Lockhart Ferries. Built by Company A, 1st Dragoons under the command of Captain John W. T. Gardner, the fort consisted of 25 - 30 log buildings enclosed by a pine-pole stockade 12 feet high. It was located on the Fall River Valley about 7 miles north of the current museum grounds. Originally called Camp Hollenbush, the outpost was soon renamed in honor of Lt. George Crook, then in command of Company D, 4th Infantry. Crook became a General during the Civil War and gained national fame as both a fighter of and advocate for the Plains Indians. 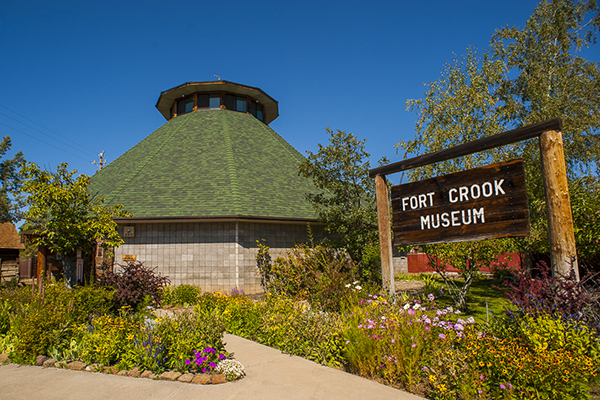 The Fort Crook Museum was built in 1962 - 65 entirely by generous donations of time and materials members of the communities it serves and by members of the Fort Crook Historical Society. Today it is a very active community enterprise. Many of our current members are family members of the first settlers, some simply appreciate the heritage generated by those settlers. We have some large projects (including the re-location of the Little Valley Round Barn to Museum grounds) and a lot of small ones.